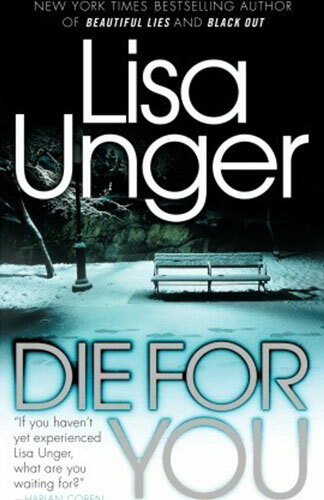 Die for You is Unger’s fourth stand-alone novel. Having only read Black Out, a clear theme across these two novels seems to be that of a mysterious past coming back to haunt the present, with not everyone appearing as they seem. In Die for You, Isabel Raines is a successful novelist married five years to her adored husband, Marcus. One morning, Marcus heads out to work and Isabel’s world unravels – Marcus disappears. It is revealed that Marcus was never who he said he was and the only truthful thing he told her was that he originated from the Czech Republic. So who is he? Thus begins a race as Isabel runs around seeking clues to find the man she thought she knew. An immaculately dressed cop with his own personal demons – a broken marriage and shady behaviour which may just be this side of stalking – chases Isabel as the only link to the man known as Marcus Raines. He starts questioning her involvement in the disappearance when she begins to actively avoid the police. Isabel is relentless in the pursuit of answers, placing her own life, and that of those around her in danger. Her need to know stems from unanswered questions surrounding her much beloved father’s death. Die for You is well-written and reasonably well-paced – it does sag in the middle where it became a little difficult to maintain interest. Isabel is initially a sympathetic and interesting character, but she becomes slightly irritating in not so much her single-mindedness to find her husband, but her stubborn determination to avoid the police and rush willy-nilly into danger based on little more than whim. Some of the characterisations didn’t ring true, particularly that of Isabel’s sister, Linda. She is originally described as “the good one” in the family, but her behaviour, particularly as a horrible teenager, just doesn’t match this description. Overall, this is a good read if you enjoy action crime fiction which leans more to the melodrama.